Desi Smith/Staff Photo. 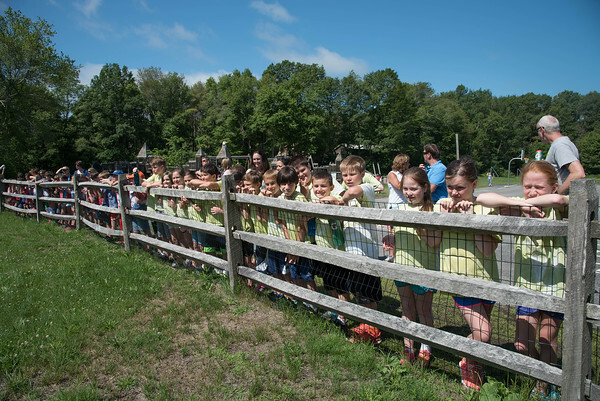 1st 2nd and 3rd graders at the Essex Elementary School line the fence and watch the 5th graders cross the lily pond using ropes during field day held Monday morning. June 22,2015.